If you are looking at the difficult task of writing a dissertation or a thesis, you may come across something called the literature review. Most students don’t understand exactly what this is and why it is helpful. Also, most students disregard the literature review section and end up getting penalized by the evaluation committee. As with all parts of an excellent dissertation, the literature review section must receive your full and undivided attention. It is not at all difficult to learn how to write literature review. In fact, once you understand exactly what this is and why it is so helpful, it should be pretty simple for you to write it. So let’s take a look at what is literature review and at how literature review is written. And in case you need to know how to write a PhD dissertation, be sure to check out our guide. In a dissertation or a thesis, the literature review section briefly shows the reader what research has been done on the topic of the paper. Of course, the review takes into consideration only research and findings published by reputable sources (researchers, magazines, journals, government agencies, etc.). Remember, Wikipedia is not a good source for information because it is maintained by users, many of whom do not have any accreditations (some don’t even know what they are talking about, to be honest). The literature review comes at the beginning of your paper, most often in the introduction. Of course, it can be used in research papers and essays as well, not just in dissertations and theses. This is why college students should find the information presented here very useful. Now that you know what is literature review, let’s see why it is important. When you write this section, you need to make sure your readers understand where current research stands. You must understand why literature review is important to be able to properly write it. The review should cover both the strengths and weaknesses of the ideas that have been researched about a topic. Also, you need to include your research objective and present the problem your paper aims to solve. In other words, the literature review section is not simply an enumeration of the research material available. Instead, it is a complete analysis of the current knowledge that aims to show the reader why your research is important and why your paper is invaluable for the scientific community. It must be organized around your thesis statement, even if it does not directly support it. It must be unbiased and to the point, also identifying ideas and knowledge that are disputed. It must synthesize all current research into a short and concise paragraph (strengths and weaknesses included). It must present the questions that your paper aims to answer. 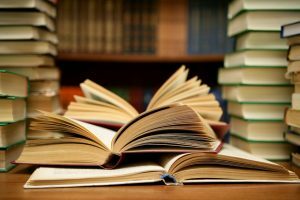 Now that you know what is literature review and how to write one, it’s time to look at a few examples. What is literature review example? Basically it is just a review written by another author. This means that you can find an example in several places. For example, to get a literature review dissertation example, you just need to go to the library and read the introduction of a well-written dissertation. The same applies if you want to see a literature review thesis example. Of course, college students can find hundreds of examples on the Internet. There are even online services that can write the review section for you – for a price, of course. And these academic writing services can be quite helpful, especially when you don’t have enough time to write the introduction yourself. Start by researching the topic and identifying all the literature you wish to review. Analyze the literature and write down all the important findings. Always be aware of what your paper aims to prove, so that you can write the section in a way that supports your thesis statement. Scan each source you find so that you get a clear idea of what it contains. Follow citations in your sources to find other, maybe even better sources. Understanding what literature review is, how literature review is written, and why it is important are paramount to success. And these simple yet effective tips should help you earn a few well-deserved bonus points. Good luck!